Skip the intro logos, and optionally skip straight to the load or co-op screen. This mod instantly skips the intro logos and screen transition (and optionally skips straight to the load or co-op screen). Combine with Fast Animations to get into the game even faster. 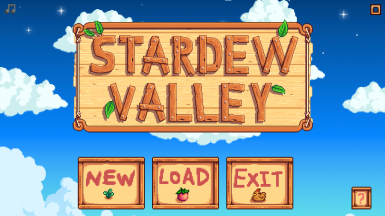 Works with Stardew Valley 1.3 on Linux/Mac/Windows. The mod will automatically skip to your title screen. You can optionally edit the mod settings to skip to the load or co-op screen instead. Double-click the first logo: 13 seconds. Press ESC at the first logo: 5 seconds.